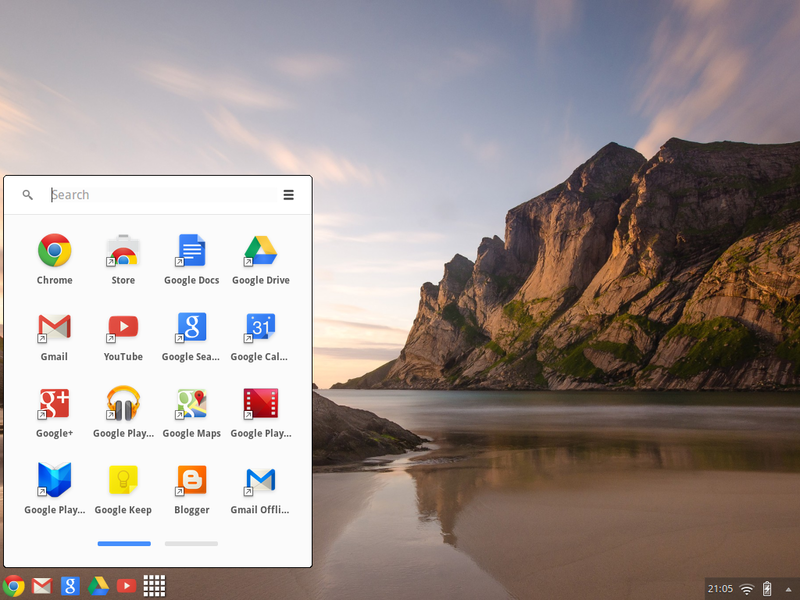 Note: the Chromebook has a bespoke desktop comprising a transparent taskbar/dock containing Google product icons and integrates the Google Apps launcher in place of a traditional application/start menu. On the bottom right sits a floating dock with a clock, WiFi, battery and user account widgets. There is basically just the one app - Google Chrome. I am assuming that most of you reading this know what XFCE is and how to get it. But just for completeness and in case anyone wants to follow exactly what I am doing, download and install Xubuntu 14.04 LTS on real hardware or in a virtual machine. 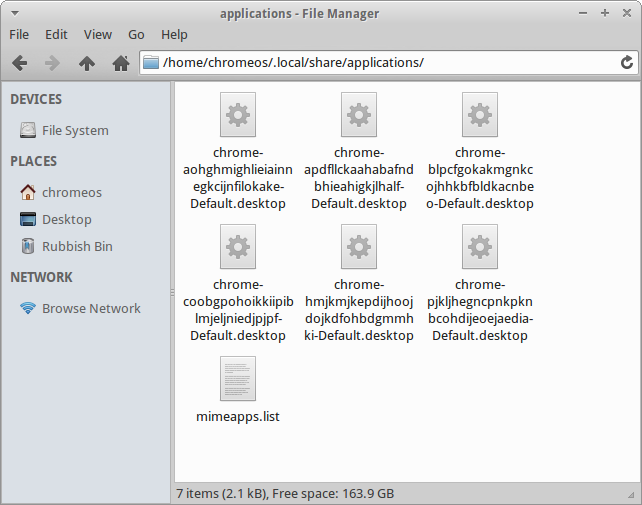 You won't find Google Chrome in the official Ubuntu repositories, but you will find Chromium (the open source version). Personally, I recommend installing the official version of Google Chrome to ensure you get the best experience using all the Google Apps and Chrome Store, plus it has Flash built in and sandboxed. 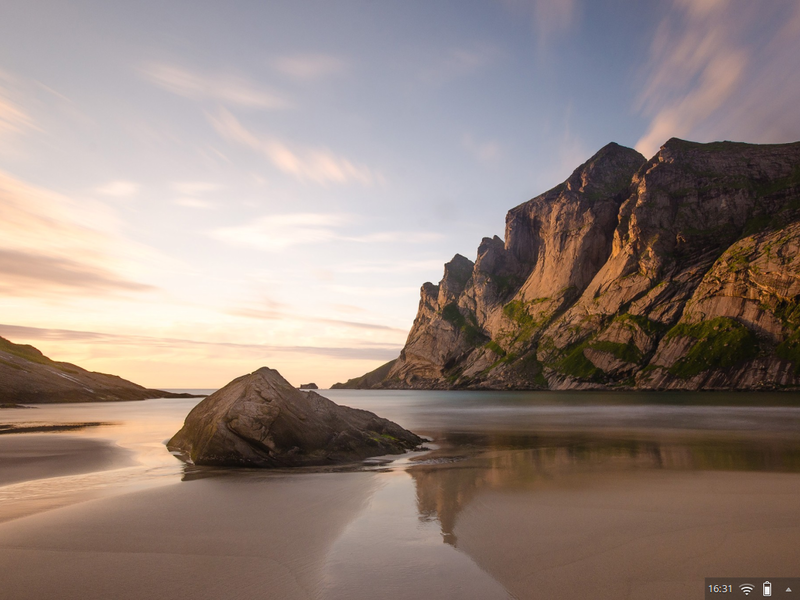 A quick Google image search will show a number of common wallpapers you might expect to see on a Chromebook. This site has pretty much all of them, so download the one(s) you want. 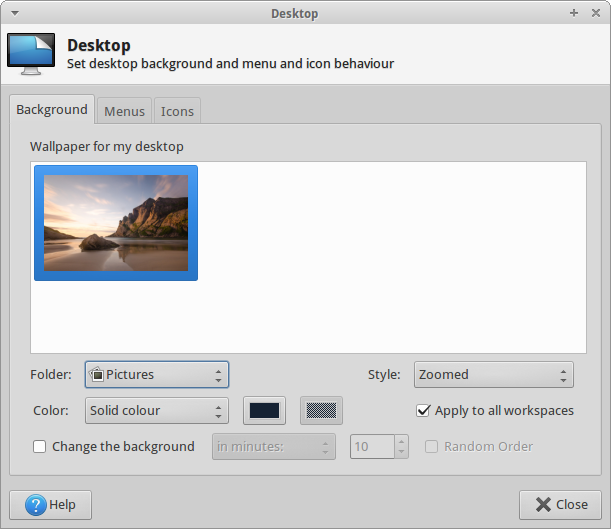 By default, XFCE on Xubuntu has a panel on the top edge of the screen. We need this at the bottom and we need to make it about 40% transparent so we can see the wallpaper behind it. Right-click on the panel and select the Panel submenu and then Panel Preferences. Untick the box "Lock panel" and then grab the panel on the left edge and drag it to the bottom of the screen. Whilst you are there, increase the row size to 28. Then click on the Appearance tab and set the transparancy Alpha value to 40. The current XFCE panel already has widgets similar to the one floating in the bottom-right on the Chromebooks. A few items need removing and some need re-ordering. Back on the Panel Preferences dialog, click on the Items tab. Remove the Whisker menu using the red minus sign. Although the Whisker menu is a great start menu, there isn't one on a Chromebook, so off it goes! Don't worry, a right-click on the desktop will bring up an application menu! Now, Chromebooks use a Windows 7/Mac OSX style dock where the icons are also the Window buttons. You can't recreate this in XFCE as such, so it's worth keeping a way to switch between open windows. First, remove the existing Windows Buttons widget. Then click the green + button and add the Window Menu widget instead. Leave it at the end of the panel, click on the cog icon to configure. Change the button layout to an arrow. Bring the clock widget to the start of the panel and configure it to show 24 hour time only. Remove the expand function of the separator between the clock and the other widgets. Now everything will shift to the left. Chromebooks don't have a visible volume icon. If you have keys for the volume, then you can hide the icon by configuring the Indicator plugin. I am assuming you already have a Google account if you are trying to recreate this look. If not, sign up for one from the Google home page. Adding more Google apps, is a simple matter of visiting the Chrome Store, searching for an app eg Google Play Music and installing it. It will then appear on this screen and on the App Launcher discussed below. The next step is to add all the icons for all the apps you want to appear on the taskbar to the desktop. Now test the launcher actually launches the app list. When you double-click it, you will have to first choose "Mark Executable" as a one-off. Hint: press Esc to close the app list. 2. 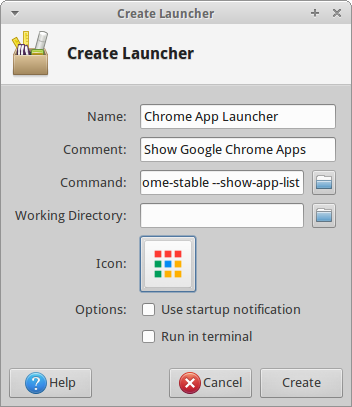 Create launchers for Gmail, Google Search, Google Drive, Google Docs and YouTube. This is easier than you think because Google should have placed the launchers (and icons) already in the hidden ~/.local/share/Applications and ~./.local/share/icons/hicolor/128x128/apps/ directories. Now you have all the icons, you are ready to create the main dock with the applications icons. We are going to create a new XFCE panel for this. Right-click on the panel you already have and select the Panel Preferences menu. Click on the big green + symbol at the top to create a new panel which will appear as a black rectangle somewhere near the top-left corner of the screen. Drag the new panel to bottom-left corner and then increase the length to occupy about half the width of the screen (length=50) and change the height to 36. Click on close to set the panel for now. Continue until you have all the icons on the panel/dock. 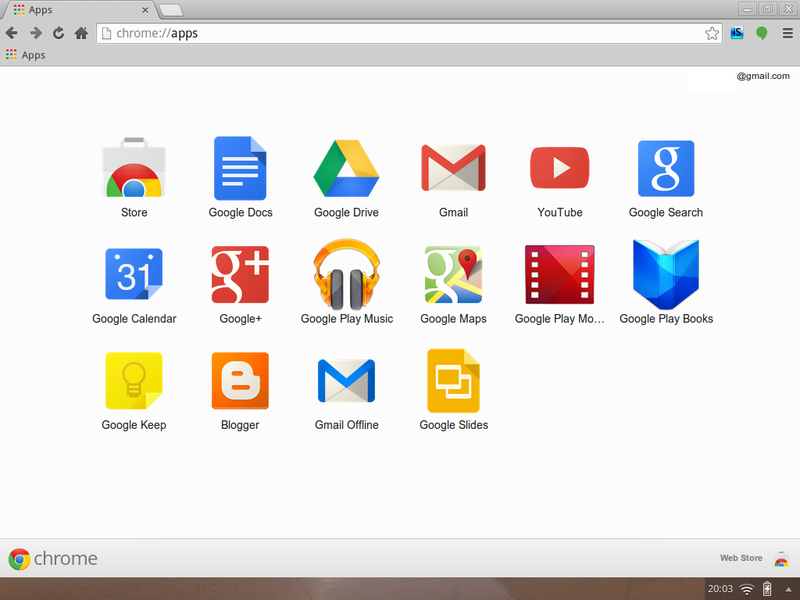 Arrange them in whatever order you like, or follow the order of the Chromebook screenshot at the start of this how-to. Finally, add a launcher for Chrome itself. Right-click the new panel and select Panel Preferences. Click on the Items tab. Click on the + symbol, choose Launcher and then Add. An empty launcher will appear. Click on the cog to edit the launcher. Click on the green + symbol again and scroll through the list of installed applications until you find Google Chrome. Then click on close. Whilst in panel preferences, you can re-order the launchers. Then for a final flourish, take the alpha level right down to 0 on the Appearance tab and on the Display tab lock the panel and close the preferences dialog. Finally, remove all the desktop launchers by selecting them all and pressing the delete key on the keyboard. 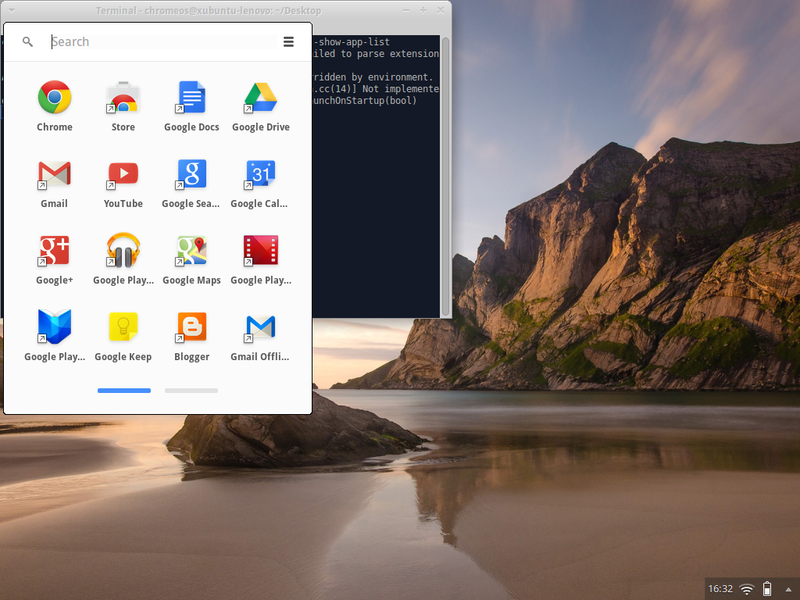 And that is how you make XFCE look like a Chromebook! Next time, I'll have a few tweaks to get it even closer to the real thing. Now you can see for free if the Chromebook way of working is for you. Please feel free to leave comments, suggestions or requests below. Be nice, it's my first post :) Would love to see any screenshots if anyone has a go at this. Do you know how to tweak the padding on icon xfce taskbar? Hi. Looks cool! Which XFCE theme are you using? 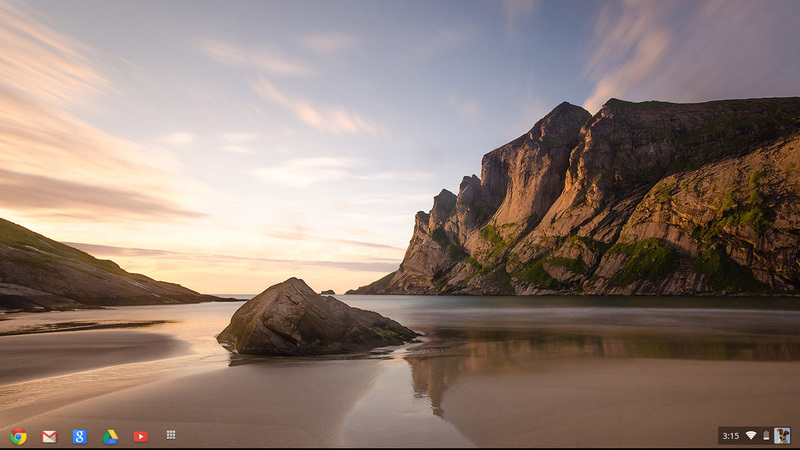 It's working in Xubuntu 15.04 :), but link for wallpapers is not working :/ . Try this site instead. This post has been up for a while! This is pretty nice. I tried the "Xubuntu with a *pure* Debian Base (from scratch)" and have been using it since. Thanks. Can I do the Chromebook look with a fresh Debian and installing Xfce4? Sure you can, or just create a new user account in your existing installation and set it up in there. Now that they are retiring the app launcher for linux is there a way to simply theme the linux menu to look like the chrome launcher?